November 10th is Andrés Manuel Del Rio’s birthday. Del Rio was a Spanish mineralogist who discovered the element vanadium — the first time. He isolated several salts from a mineral known as “brown lead” (called vanadite today) that appeared to be a new element. He noted his salts had similar colors to the salts of chromium, so he named his element panchromium. He renamed it erythronium after he discovered the salts all turned red when heated. 1918 – Ernst Otto Fischer was born. Fischer was a German chemist who shares the 1973 Nobel Prize in Chemistry with Geoffrey Wilkinson for their independent pioneering work with organometallic compounds. 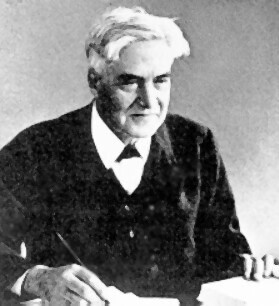 He worked on compounds with transition metal complexes and catalysts to hydrogenate alkenes into alkanes. He also identified the structure of the sandwich compound, ferrocene. 1861 – Robert T. A. Innes was born. Innes was a Scottish astronomer who discovered Proxima Centauri, the star closest to Earth. Over the course of his career, he discovered 1600 double star systems. He also converted a Johannesburg, South Africa meteorological station into the astronomical observatory known as Union Observatory. 1799 – Joseph Black died. Black was a Scottish chemist who was one of the founders of thermochemistry. He discovered that when ice melts, the temperature does not change leading to the idea of specific or latent heat. He also researched carbon dioxide or what he called ‘fixed air’. This research led to the discovery of bicarbonates. 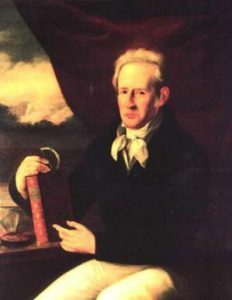 1764 – Andrés Manuel Del Rio was born.